Hidden in the north-west tip of Bali is Menjangan Island, which boasts some of the most beautiful corals in Indonesia and is accessible to both scuba divers and snorkelers. Table corals bigger than a man in diameter. Fan corals two metres high clinging to ocean walls. 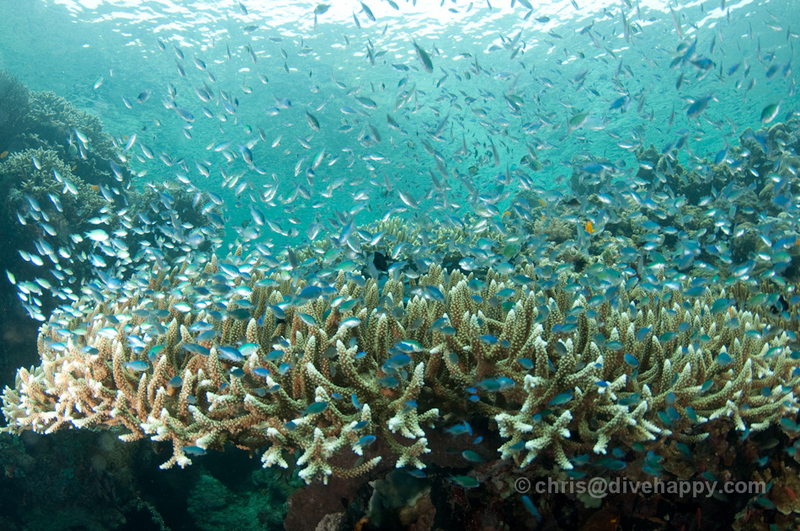 Thousands of fish teeming over reefs so dense with coral it grows on top of one another. And, um, lots of plastic bags floating on the surface. 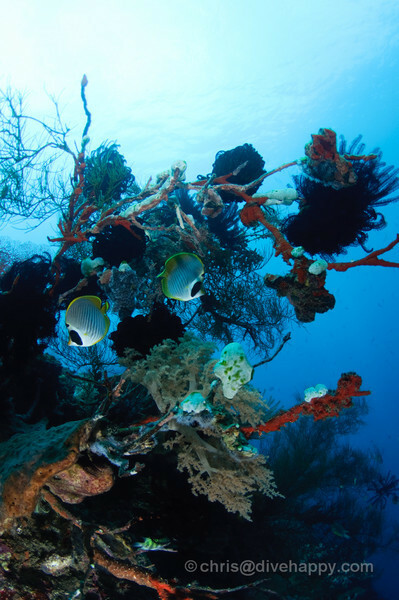 This is Menjangan Island, one of the most beautiful – and most accessible – dive spots in Bali and, indeed, Indonesia. Popular with snorkellers due to the rich coral life easily visible from the surface, Menjangan provides even more riches for divers only a few metres further down. 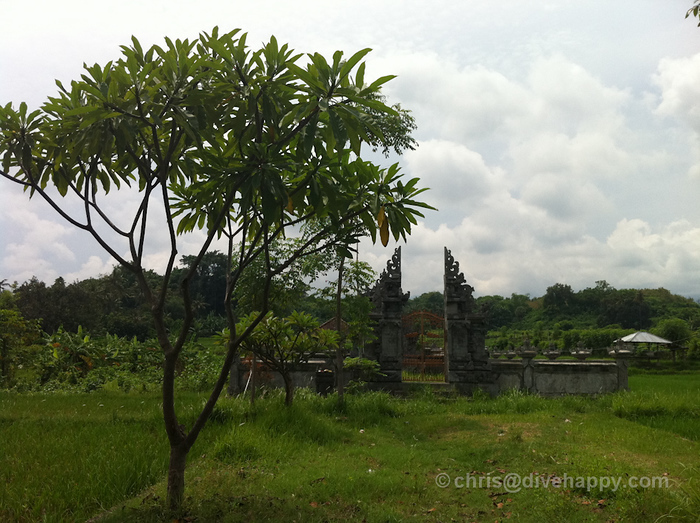 In December 2010 I headed to Menjangan Island,which is located near the town of Pemeturan on the north west coast of Bali. 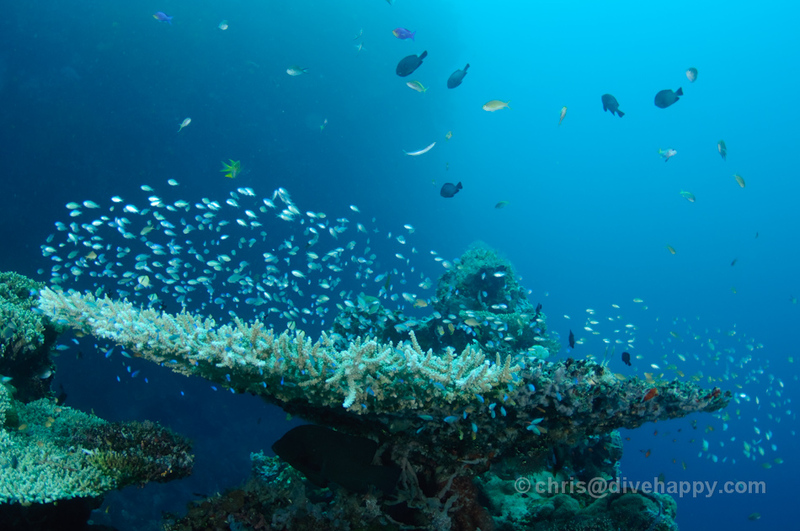 I’d previously visited this area in 2007 while writing a Bali Dive Safari story for Sport Diver USA magazine, and only been able to spend a couple of days there. 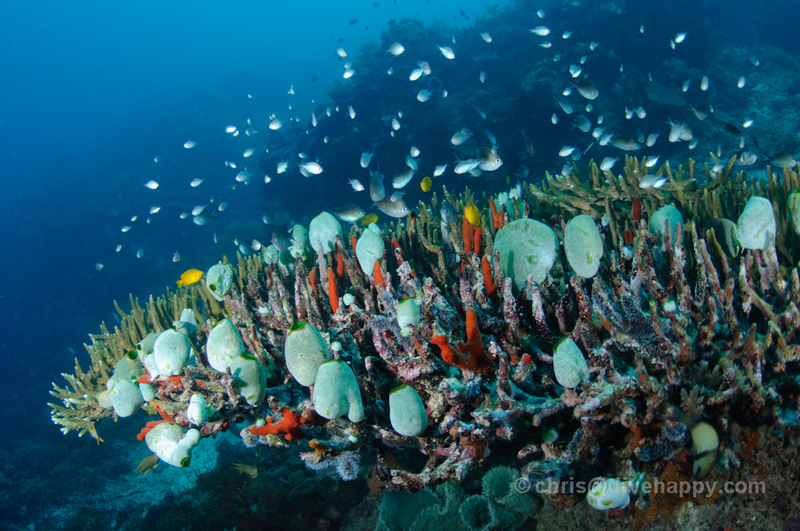 I’d been so impressed with the spectacular corals at Menjangan and the critter-rich muck diving of Secret Bay and Puri Jati nearby on the mainland that I’d long resolved to return and spend more time there. A mere three years later, I managed it, thanks to a trip organised by my friend Adri and accompanied by Frieda and Brooks. 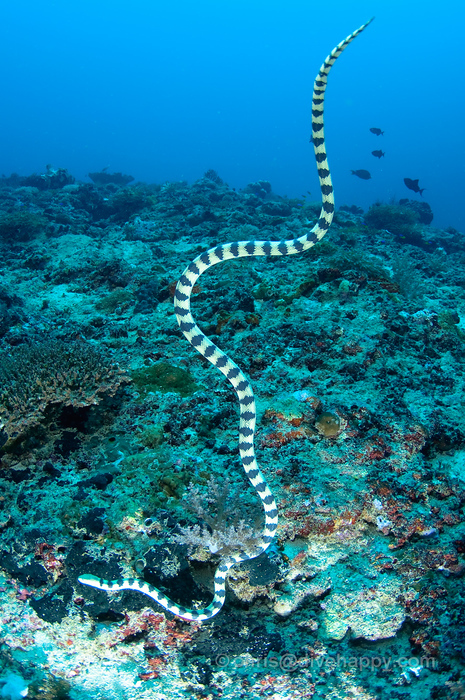 We went with Aquacat who provided an all-in trip including dives, accommodation and transfers to and from Menjangan. This is a typical package most Bali dive operators can provide. I was a little worried that Menjangan wouldn’t live up to my fond memories second time around. 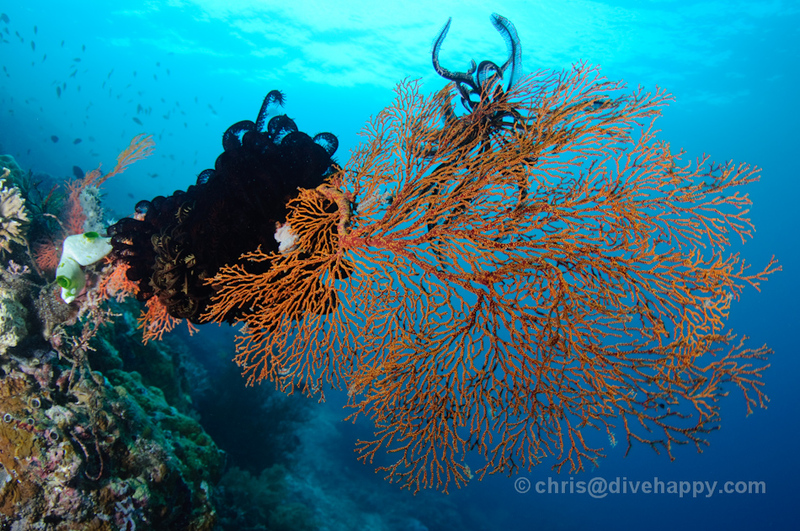 I’d dived in many more places since then, including some of the world’s best like Raja Ampat, Komodo and Palau. However, I soon realised that Menjangan is still spectacular, despite the amount of detritus often seen on the surface (brought in by the tides from the mainland). 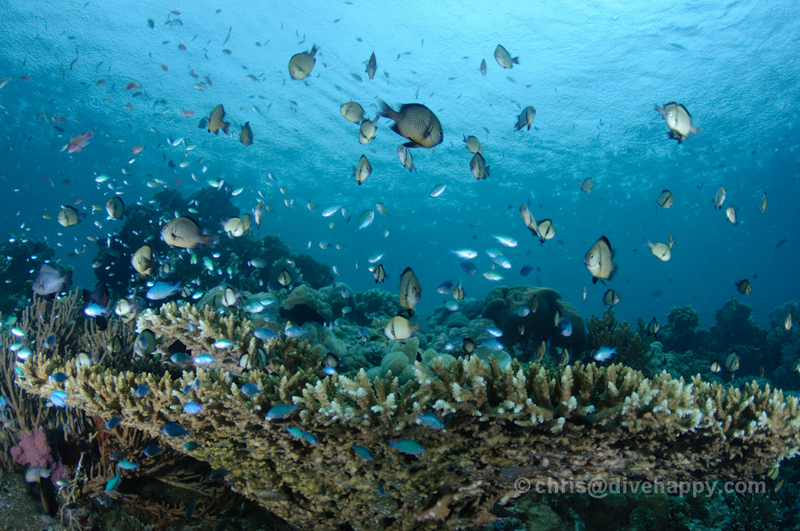 Pos Dua is definitely my favourite site at Menjangan, and it’s probably the most famous site here – an abundant shelf of reef in the shallows with abruptly drops into a near vertical wall encrusted with a plethora of corals. Rarely have I seen such a gamut of vivid colour from coral in one concentrated area – it looks like an explosion in a paint factory in some places. The visibiliy was also great, at minimum 20 metres, giving a real sense of the sheer size and complexity of the reef walls. We dived at Menjangan for two days, returning to Posa Dua twice, and I wished we’d decided to do three days at Menjangan and only one day of muck diving. I was a little addicted to the colour and beauty of the sunlight on Menjangan’s reefs, and the thought of staring at black sand for another couple of days was not particularly appealing. However, I was excited to arrive at PJs again, the abbrievated form of Pura Jati, the name of a temple that stands within a rice paddie directly behind the dive site. PJs is where I saw my very first mimic octopus, which The site itself is straight off the beach, walking into to gently sloping black sand that besides the ripples left by the tide is featureless. 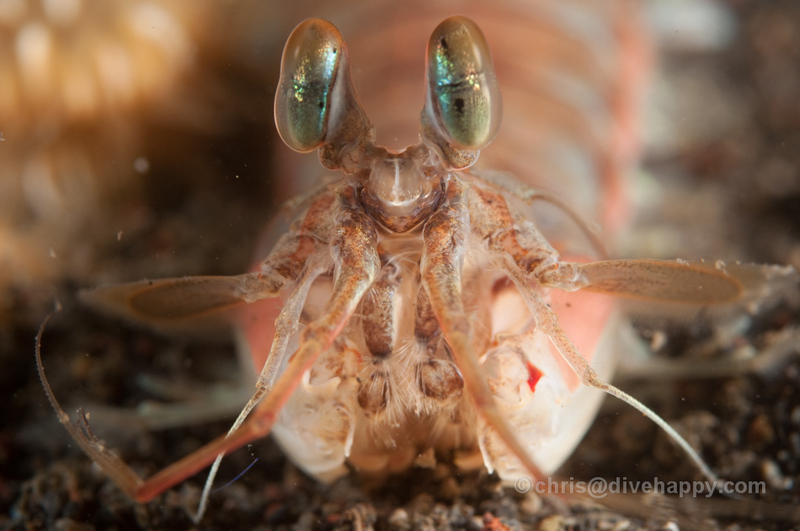 While the site didn’t yield a mimic this time, we did see plenty including mantis shrimp and pair of somewhat aggressive porcelain crabs. Secret Bay is the epitomy of muck diving, strewn with trash, cold and murky. We did a ninety minute dive without seeing much and I’d had enough. Sure enough, the second dive of the morning and final dive of the trip saw a discovery of not one but two frogfish and a large school of Banggai cardinal fish rather than the few loners we’d found on the first dive. Rats! I did feel though that we could have pushed it a little and done two dives at PJ and two dives at Secret Bay in one day if we’d organised it better, leaving a third day at Menjangan. 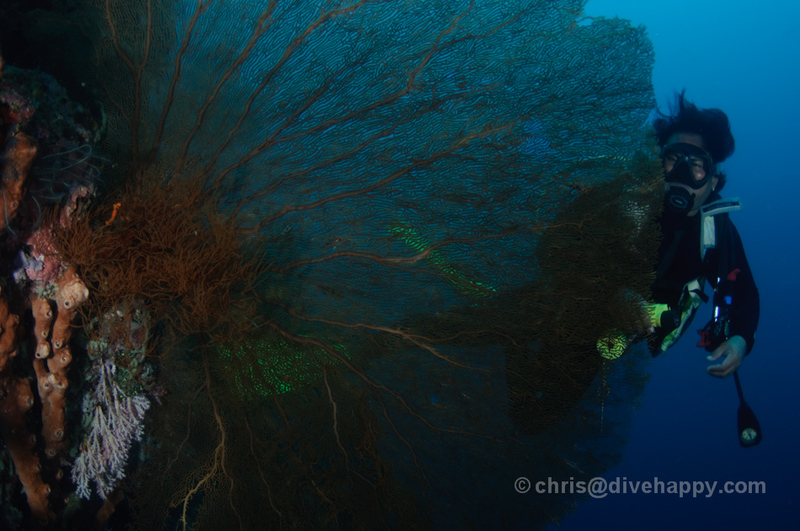 I think I would do the day of muck diving before Menjangan too, saving the best to last, as the colour and corals of Menjangan are just breathtaking. To get direct to Menjangan from central Bali (e.g. Sanur, Kuta or Seminyak) is a three to four hour drive. It’s standard practice for dive shops to organise pick up, minivan transfers, accommodation and diving as one package price. For 14 dives, twin sharing accommodation at the Aneka Bagus 3 star hotel including breakfast, transfers to and from central Bali, the price was 5.6 million Rupiah – around $580 to $600 US. My previous visit to Menjangan had been part of a Bali Dive Safari, exploring Lembongan, Tulamben and Menjangan which lie roughly three hours drive apart from each other. 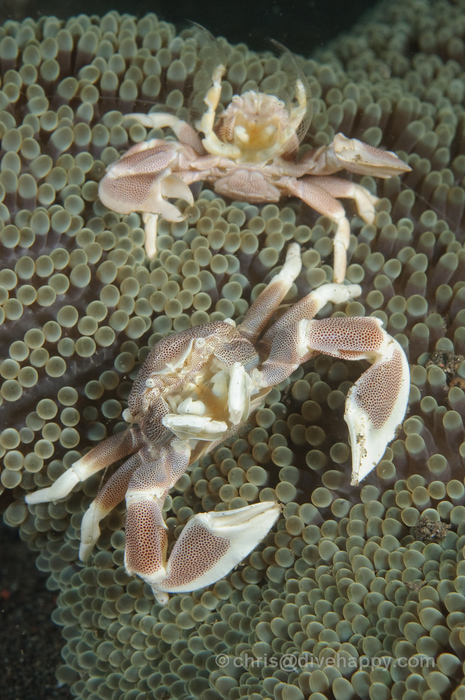 Follow the link for my detailed article about travelling the island to dive all three. The town of Pemeturan provides base for travellers to the area, made up essentially of a strip of dive resorts and hotels along the beach. Menjangan Island is a 20 minute drive away and then onto a very basic boat to head over to island’s coastline which is about another 30 minutes or so. 3 dives are punctuated by first surface interval on the boat and then heading to the shore for a packed lunch between the second and third dive. There are numerous international and domestic flights into Bali. Check Skyscanner and Kayak to compare flight times and prices. AirAsia has several budget flights into Bali, but it’s worth checking traditional carriers as they often have special offers. There is a huge amount of accommodation available in central Bali, from humble guesthouses to super-luxury hotels. Check Agoda’s Bali Hotels page for an extensive range of hotels at all budgets which you can book online. You may also find How Much Do I Need For Bali useful – a rough guide to the cost of living in Bali over on Divehappy’s sister site Travelhappy.